Want some Italian with your doughnut? A couple of years ago, I signed up for a new social media site with a twist: it was set up to help users teach each other new languages. The idea isn’t exactly new. People have been using chat rooms to practice their language skills with strangers for years. In fact, the first and only time I ever entered a chat room, it was to practice my Arabic shortly after returning home from a study abroad in Syria. I was immediately overwhelmed by Arab men, shamelessly hitting on me and hinting around about green cards. It was so uncomfortably close to actually being in an Arab country as a single American female that I soon left, deciding I’d have to practice my quickly atrophying Arabic language skills somewhere else. In the fall of 2008, we had been in Italy for a few months and I was desperate to learn Italian. So I signed up as a beta user on livemocha.com, a new language-learning site with a social networking component. There were online courses for several different languages. And you could become friends with native speakers who would help correct your spoken and written exercises. It sounded great. Unfortunately, along with Italian, I marked that I was interested in learning Arabic. My inbox immediately filled with very friendly friend requests from single Arab men. So although I played around with the online Italian lessons, I could never bring myself to become active in the livemocha community. Until now. Actually, I didn’t really become active myself, but I did tell my husband about it. And after he had subsequently gushed about it to me for a few days, I finally did go back and found some friends who speak Italian. And now I do livemocha too. Amusingly enough, I did receive the following response (in Italian) from someone whose friendship I had requested: “Are you Italian? Do I know you? Why have you asked to be my friend?” I guess I’m not the only one afraid of stalkers. Here’s how it works: you sign up just like on any other social networking site, except that you also are asked which languages you speak and which you want to learn. Then you can enroll in courses and find friends. Your friends will chat with you in your target language and correct your spoken and written language exercises. And you get to do the same for them. 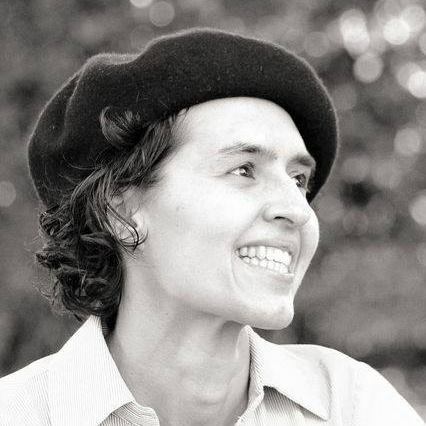 It’s a site that helps people connect in a meaningful way and provides a real service without getting weird and greedy about it, and it’s free (although you can also pay for a more Rosetta Stone-style course that they’ve developed and insist is awesome. I haven’t tried it). Tony loves livemocha since a good part of his job description at the moment consists in learning Italian so he can communicate with his colleagues. So he’s made friends with an Italian named Fabio who wants to improve his English so he’s not embarrassed to his colleagues. They spend all day logged in and chatting to each other, helping each other sound smarter at work. And we could all use to sound a little smarter in whatever language we happen to be learning, couldn’t we? Well, I could. 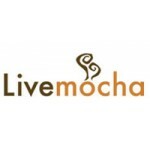 So I’ll be hanging out at livemocha, and you can friend me if you want. I’ll correct your English papers. But if you need a green card, you’ll have to go elsewhere. Hi! Quick question that’s completely off topic. Do you know how to make your site mobile friendly? My blog looks weird when browsing from my iphone 4. I’m trying to find a theme or plugin that might be able to resolve this issue.